Lemon Kush has a very diverse genetic background. It’s a crossing of Chemdawg, Lemon Thai, and Pakistani Kush. All these strains work really well together, and give this hybrid an excellent potency, exclusive lemon flavours, and a flowering time of 55 days. Yields can be considered high, with 450-500g/m². The effect will leave you deeply, physically relaxed by still being able to focus. Reduced price! € 18.00 tax incl. 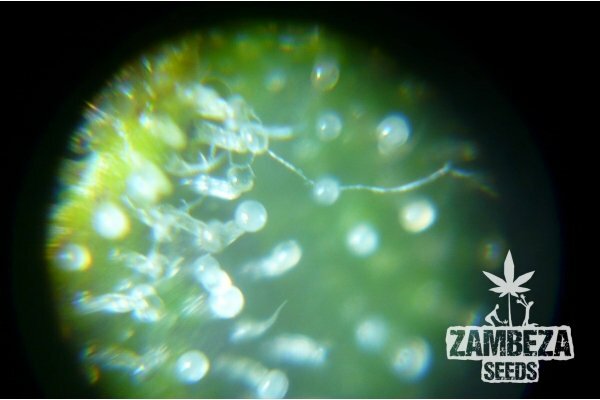 Zambeza Seeds only used genetics that are known for their excellent growing traits, and exceptional taste, for this hybrid. It’s a crossing of Chemdawg, Lemon Thai, and Pakistani Kush. These three strains are doing a great job in harmonizing with each other. Chemdawg surely is a legend on its own and well known for a diesel-like taste and very high THC levels. Lemon Thai adds sativa influences from Thailand and Hawaii, together with a lemon-minty taste. Pakistani Kush is famous for its exorbitant resin production and a potential candidate to make delicious hash from. Getting Chemdawg, Lemon Thai, and Pakistani Kush in one hybrid means a great chance to grow weed that is in many ways superior to what other strains produce. Lemon Kush finishes its flowering period after about 55 days. 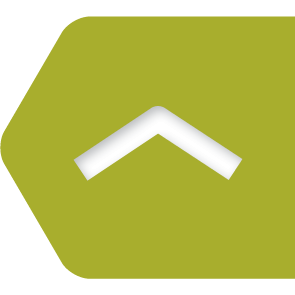 It grows to overall heights of 100-130cm indoors, and yields 450-500g/m². When Lemon Kush is exposed to good outdoor conditions, it can grow to monstrous sizes of up to 170-230cm! 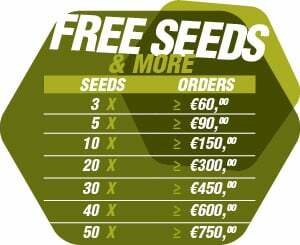 It will be no surprise to harvest 400-550g per plant in a good season. Lemon Kush leans a little bit towards its Pakistani Indica heritage but also displays some sativa influences of Lemon Thai and Chemdawg in its appearance. 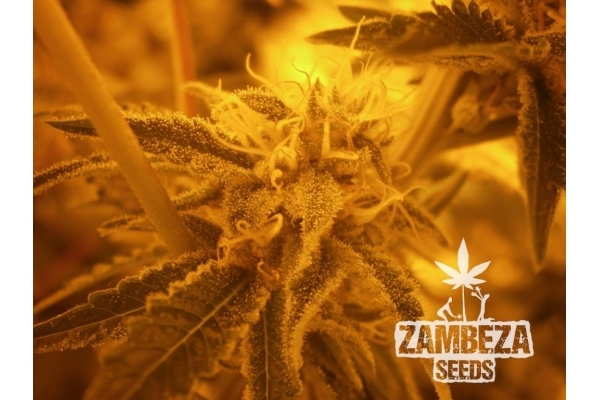 Lemon Kush is fairly easy to manage, grows very stable, and is therefore also suitable for novice growers. The effect that can be felt after smoking Lemon Kush is predominantly a feeling of being extremely calm and stoned. 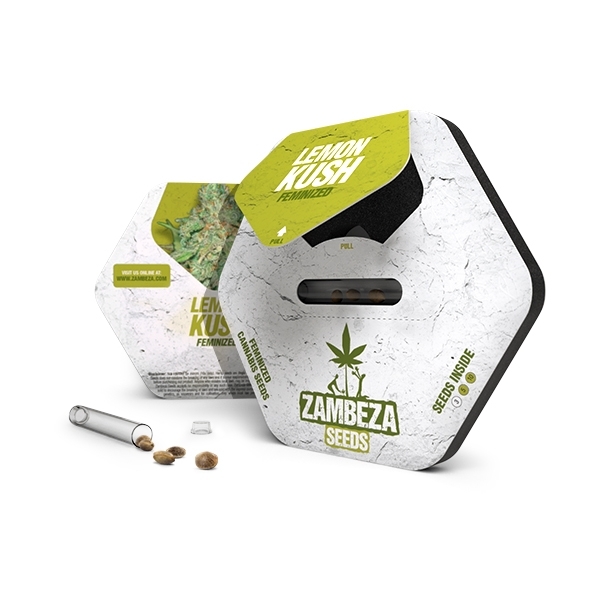 What makes Lemon Kush so great is that the narcotic, Kush-like effect, doesn’t only cause an experience of deep relaxation, cerebral sativa effects of Chemdawg and Lemon Thai help smokers to stay focused on various tasks. THC levels are 18%, definitely enough to force the heaviest smokers on their knees. Lemon Kush is a top-shelf variety, not only in terms of potency. The taste is very fresh, lemon-like, with noticeable, slightly acidic influences of Chemdawg. Don’t expect flavours to be only fruity, there are hints of spices in it, too. Growing an indica-dominant hybrid with an excellent genetic background like this, will most likely result in large amounts of high-quality buds. What some don’t know is that Chemdawg is the basis plant for strains like OG Kush and Sour Diesel. Crossing Chemdawg with Sativa genetics from Thailand, and Kush from Pakistan, worked out perfectly, and created a strain that is ready to outperform various Kush strains from other seed banks. 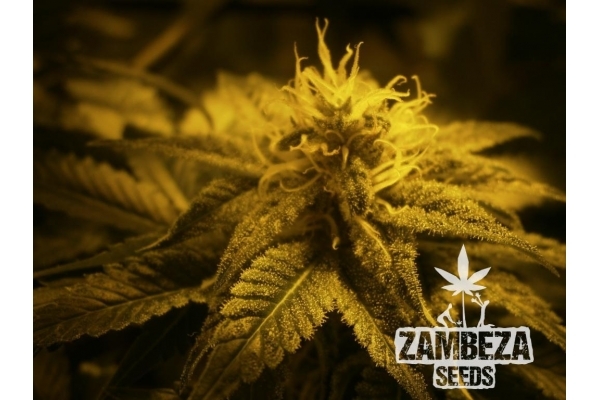 Only Zambeza Seeds offers the high quality genetics every grower deserves, by being focused on true customer satisfaction and reasonable prices, at the same time. Now it’s your time to profit! When life gives you lemons, stay calm and grow Kush!